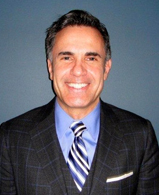 Carmine LoFaro is the senior partner of LoFaro and Reiser, LLP. Mr. LoFaro, who has practiced law for almost 30 years, received his law degree from of Hofstra University School of Law, and his Bachelor of Science from Manhattan College. Mr. LoFaro is admitted to the New Jersey Bar, as well as to the Federal District Court of New Jersey, the United States Court of Appeals for the Third Circuit and the United States Supreme Court. Mr. LoFaro serves the needs of a diverse clientele, ranging from individuals to Fortune 500 Companies. His practice is broad and diverse, with expertise in criminal and DWI defense, business litigation, commercial transactions, contract law, estate litigation and real estate transactions. Mr. LoFaro is recognized by his clients and fellow attorneys for combining exceptional, result- oriented legal skills and sound, practical judgment with consummate professionalism and collegiality. That recognition is embodied in the awards and distinctions that he has garnered during his years of practice, including an AV rating by Martindale Hubbell, annual inclusion in New Jersey Super Lawyers, 201 Magazine’s Best Lawyers in Bergen County, US News & World Report’s Best Law Firms and the National Trial Association’s Top 100 Attorneys. Mr. LoFaro’s philosophy for his practice of law is simple—provide each and every client, regardless of how small or large, with honest, first-rate legal representation in the most cost-effective manner possible. Contact our New Jersey law firm today to discuss your federal court or bankruptcy court case. Located just minutes from New York City. Serving clients throughout Northern, Central and Southern New Jersey. Representing small to mid-size businesses in federal and bankruptcy court proceedings venued in Camden, Newark, and Trenton.